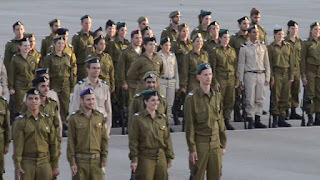 There was an IDF (Israel Defense Force) ceremony in the Kotel plaza. 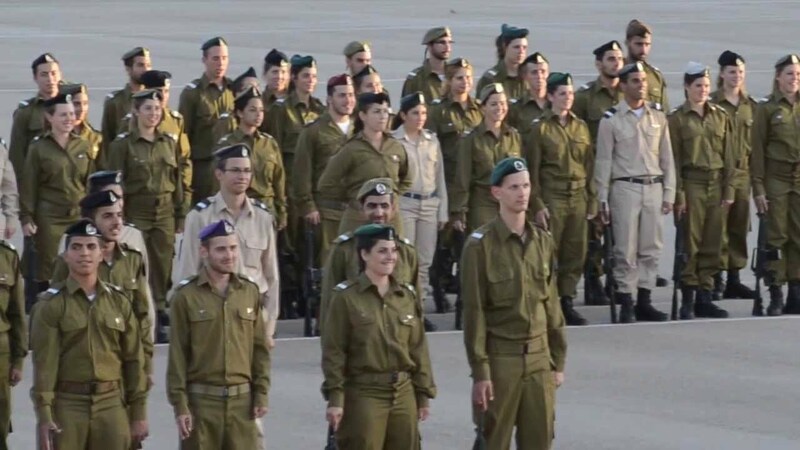 When the soldiers graduate from a basic level of training they hold some type of swearing in ceremony or such and the parents come to be with their sons and daughters. It is seen to them to be a milestone in their child's life. It was before the ceremony began and I was walking out through the Plaza. I saw a small family with what looked like their son in uniform. I asked the man if the boy was his son. He said he was. "Put your right hand on his head and give him a blessing." He put his hand on the boy's head but then quickly took out a cap he had in a bag and put it on his head not wanting to say Hashem's name with his head uncovered. His wife pulled a kippa out of a bag she was carrying and put it under her husband's hand onto the boy's head. I held the card I carry with the blessing so the father could read it. He read loudly and the boy lowered his head looking down. All went well until around half way into the blessing when the father broke down crying. I love it. Maybe I'm nuts but I love seeing the fathers overcome with love for their children. He was a big, tough Israeli, but his love for his son was too much for him to contain. He managed to finish the blessing and I told him to add to it what he personally wanted for the boy. He loudly called out a list of things and when he finished, as usual, I asked, "Is he a good son for you?" The father raved about how good the boy was, "Gold, Full!" I said to the new soldier, "Hashem protect you." He said thank you and I walked away without looking back. It's such a nice thing to do. What you did was a kiddush hashem on so many levels.